Brigade's Polartec 200 Fleece Ear Warmer keep your ears warm with Polartec 200 weight Polyester Fleece. 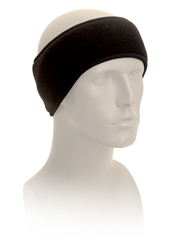 Our Earband features two layers of fleece, trimmed on both sides. Contour shape gives great coverage for the ears in the coldest of weather.